Our Breakfast Box next Tuesday morning will focus on ‘Cloud’. 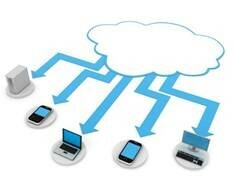 If you have questions about what Cloud Computing is, or what it can do for your business, this is your opportunity! Traditional IT systems are being replaced by Hosted Solutions, providing predictable monthly costs for your business. A Cloud Solution that saves you money is the answer, but how to transition to the Cloud? Find out from our Account Managers how our solutions can be tailored to meet your business needs. For more event information, and to RSVP, click here.